Learning about and making simple machines is a great way to explore physics with kids. The Kids’ Book of Simple Machines: Cool Projects & Activities that Make Science Fun! by Kelly Doudna (coming out August 25, 2015) is the perfect way to get started. The Kids’ Book of Simple Machines has concise explanations of the science of simple machines, clear step-by-step instructions, and enticing colorful photographs of the projects. In addition, the background information in the different sections introduces children to famous scientists and inventors, from Archimedes to the Wright brothers. 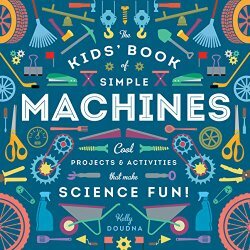 Whether you are teaching science in the classroom, after school, or at home, The Kids’ Book of Simple Machines is a well-designed and useful resource. The young makers of the world are going to have hours of fun trying out the activities in this book. At Growing with Science blog, we have more information and some suggestions for related activities. Categories: Science, STEM Friday round-up, Technology | Tags: simple machines | Permalink. In The Brain: Discover the Universe Inside Your Head, kids learn about the structure and function of the brain, how it develops as a person ages, and how we use our brains to form memories, develop language, feel emotion, and sense the world around us. A whole chapter is dedicated to ideas on how to keep brains healthy and how unhealthy habits, such as not eating well or using drugs, can affect your brain for the worse. Readers 12 to 15 will appreciate the hands-on projects, including building a model of a brain and performing memory tests. 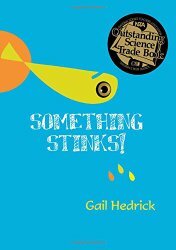 Lots of STEM connections make this book perfect for both home and classroom! Try this activity to see how neurotransmission works! 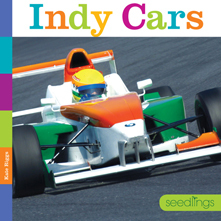 Booktalk: A kindergarten-level introduction to Indy cars, covering their speed, drivers, role in racing sports, and such defining features as their wings. 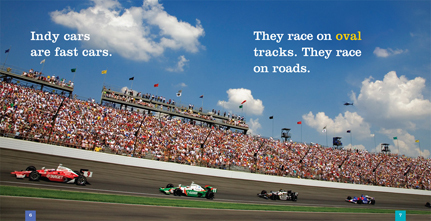 Snippet: Indy cars are fast cars. They race on oval tracks. They race on roads. Play the Hot Wheels Pit Race Off Take game online. 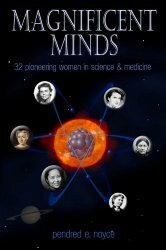 Over at Growing with Science blog today we are featuring book that is a collection of biographies chronicling the lives of women who made a name for themselves in the areas of STEM and health care, Magnificent Minds: 16 Pioneering Women in Science and Medicine by Pendred E. Noyce. The book is organized into chapters that are separate biographies. Because the chapters stand alone, readers can easily page to an individual subject of their choice. Also, at the beginning of each chapter is a well-researched timeline that gives details of not only that woman’s life, but also with significant events that occurred during her lifetime. The timelines help tremendously to add context. Moving chronologically from the birth of midwife Louise Bourgeois Boursier in 1563 to the death of chemist and drug discoverer Gertrude Elion in 1999, the author has taken a novel look at the accomplishments of these women. For example, Florence Nightingale is known for her nursing skills, but Noyce suggests those skills were improved by Nightingale’s reliance on statistics and evidence-based research. Stop by Growing with Science for a challenge to see if you can recognize three groundbreaking women in STEM. Categories: STEM Friday round-up | Tags: biographies of women scientists for kids | Permalink. trains work hard from A to Z. Quick question. How many different trains can you name? Not companies, but actual trains. I know freight trains, monorails, and passenger trains. I should have named elevated train as well but I had to look in the book to be reminded. That’s it. Now, after readingAlphabet Trains, my knowledge has quadrupled. I like that kind of return when reading a nonfiction book. There are so many cool trains here. One of my favorites is the Hurricane Turn. That should be located in a warm weather climate, right? Well, you will actually find it in Alaska. In the back matter (terrific information! ), I read that riders have to wave a white flag to stop the train. When they want to get off the train, they tell the conductor the milepost where they need to leave. I was interested enough to research this and learn more about the Hurricane Turn. That’s one of the beauties of this book. It’s going to lead to extra research by young readers and their families. Did you know there was a snow plow train? I never considered how snow would be removed from a train track. They have special blades that carve the snow, sends it through a chute, and blows it to one side of the track. After reading Alphabet Trains, readers will also ask questions that will lead to further research. As a kid, I lived off of nonfiction books with bite-sized information that led me to read other books. 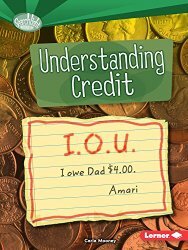 Other than prompting further research, you could use this book for quick shared reading sessions with a reading group. Leave off the last word in the second sentence and see if students can provide it. They can use the last word in the previous sentence and context clues (the illustration) to try and come up with the missing word. This will help build vocabulary and prompt readers to practice using the tools they have to figure out new words. I think creating an alphabet book would also be a fun nonfiction writing challenge for 2nd-4th grade writers too. Punch your ticket now and join the Alphabet Trains! Check out more posts about new books at NC Teacher Stuff.